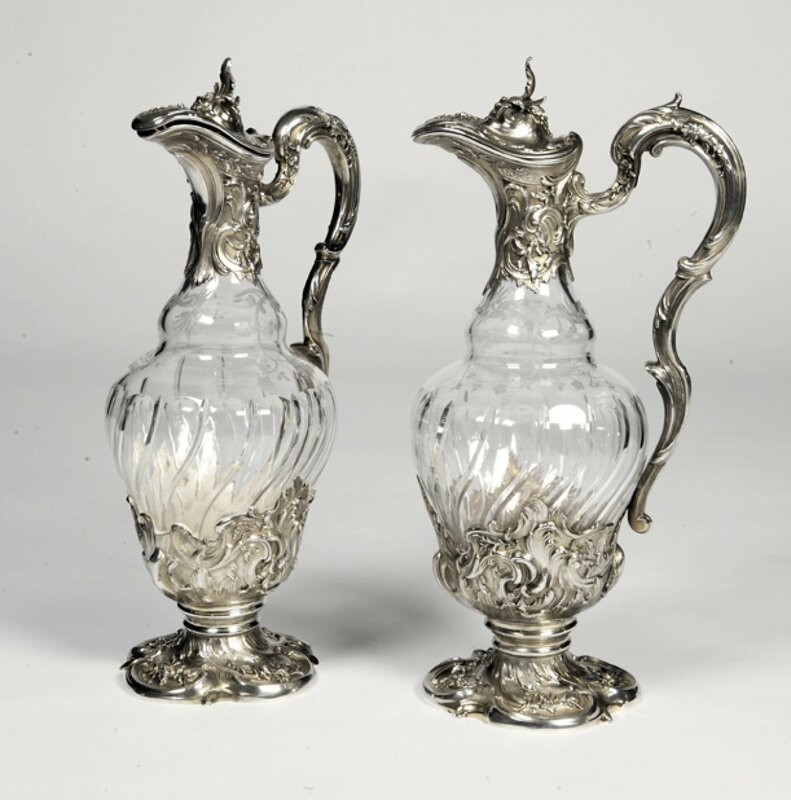 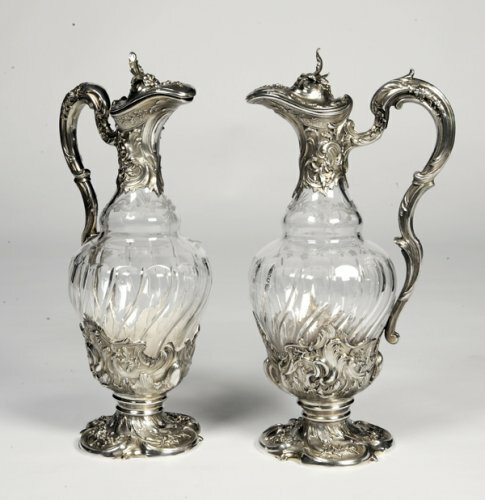 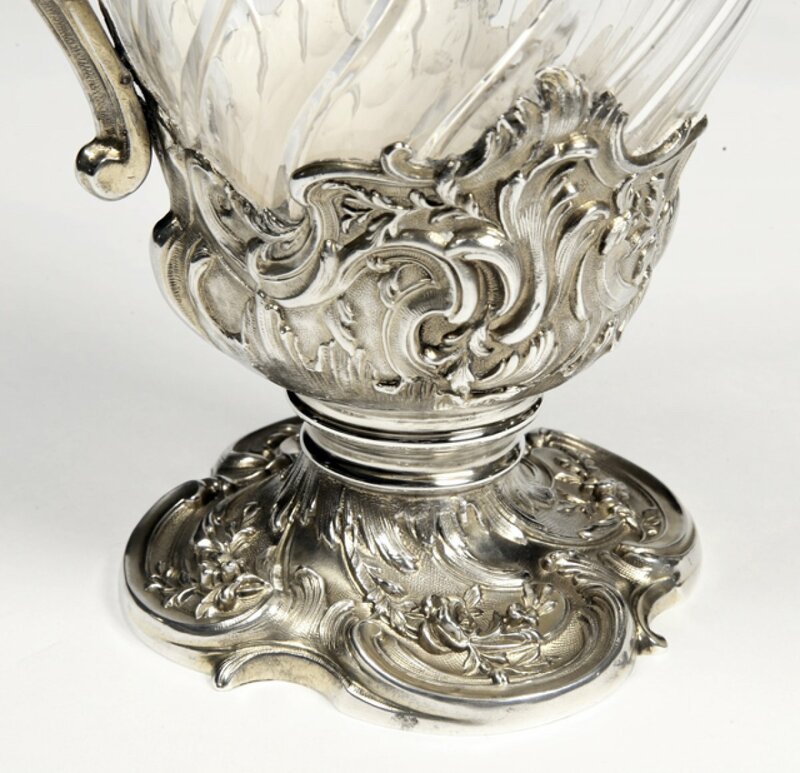 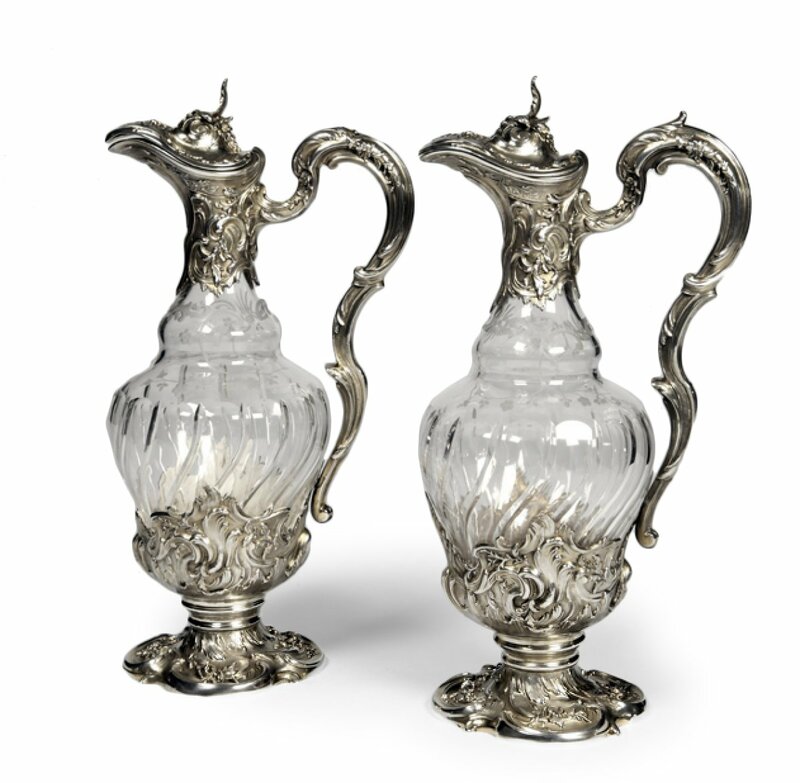 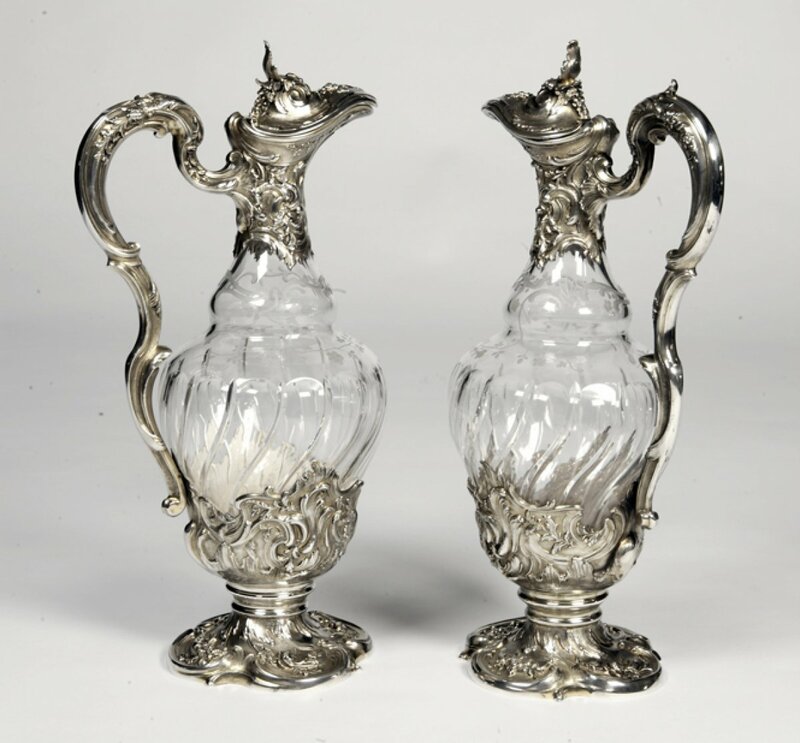 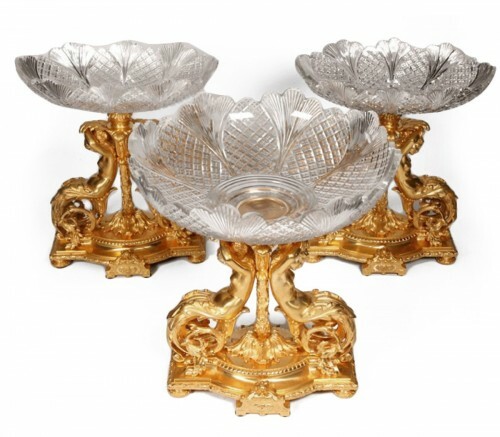 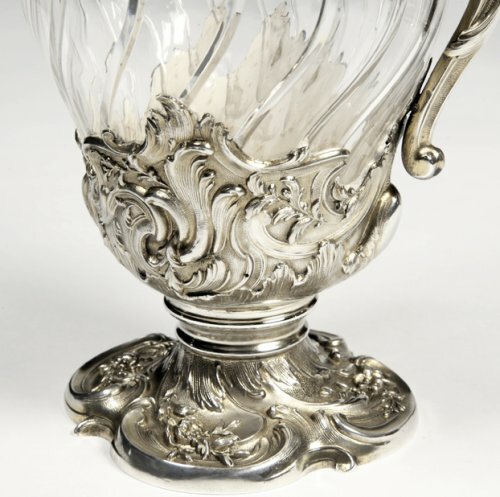 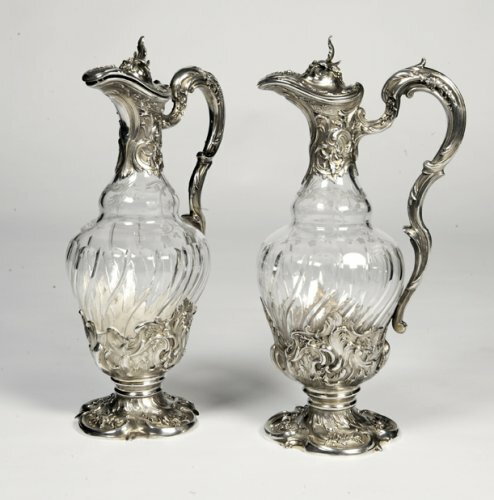 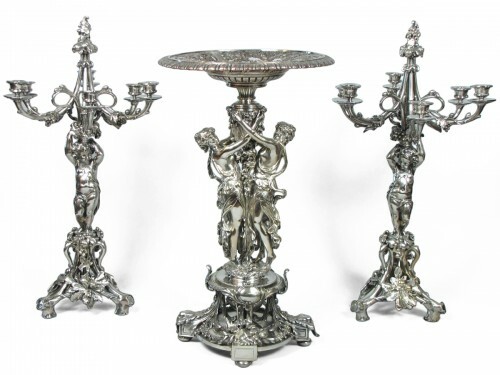 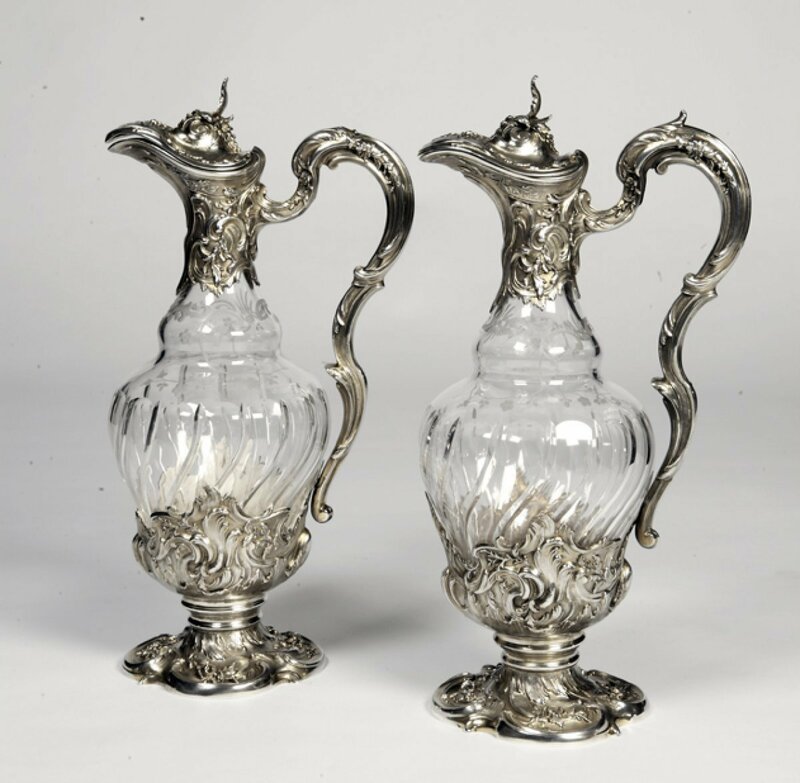 Pair of crystal and silver ewers. The crystal is embedded in a silver frame on pedestal. 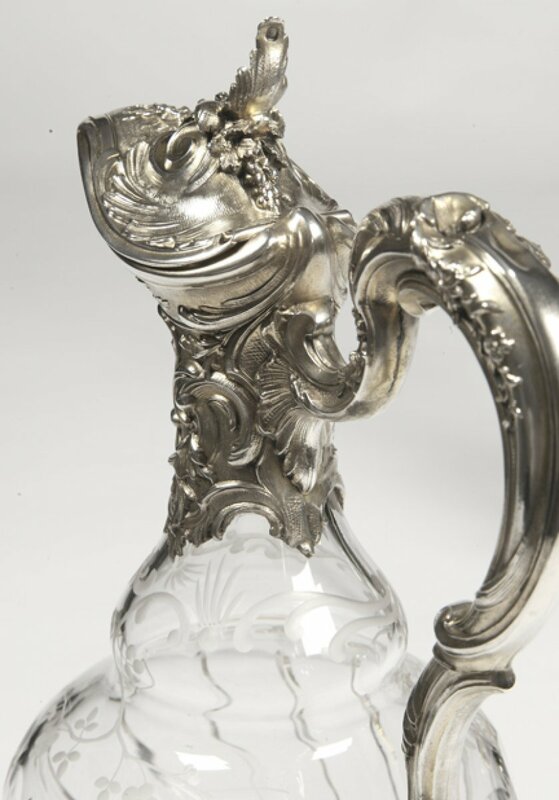 The crystal is cut with gadroons with an engraving to the wheel on the neck. 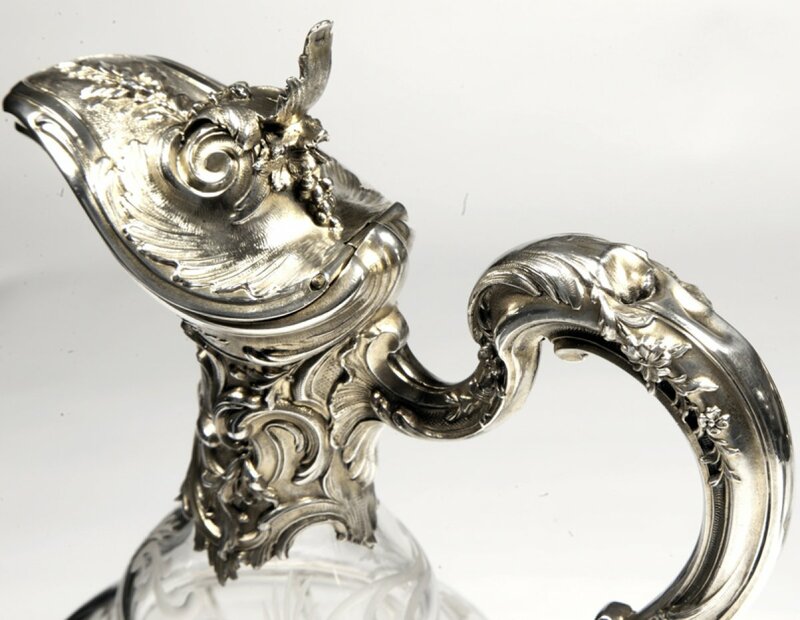 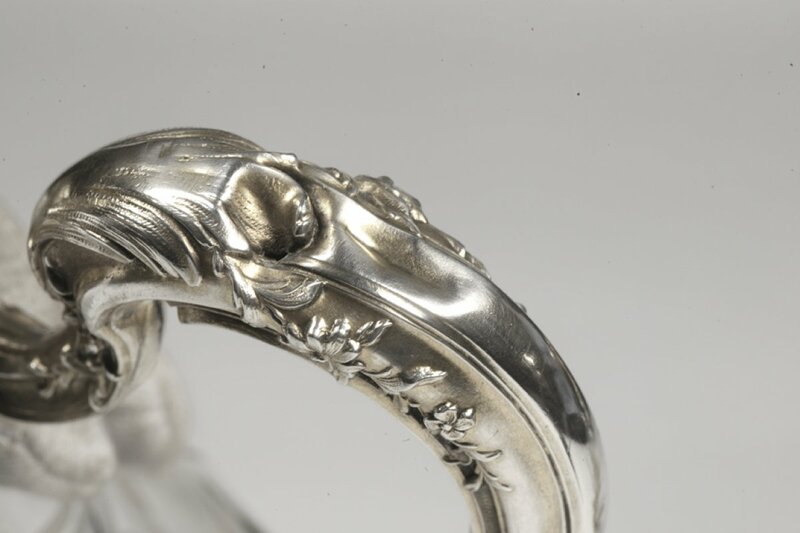 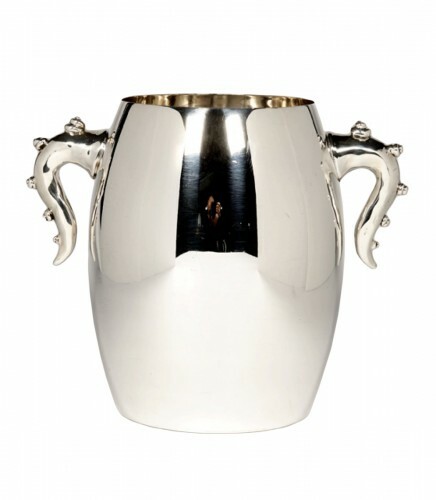 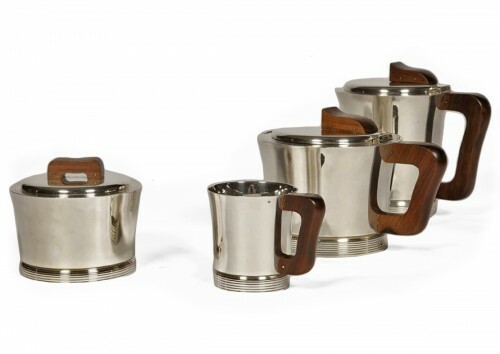 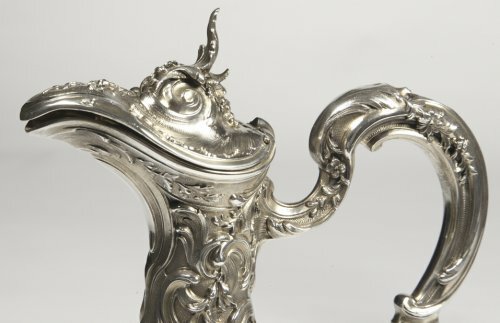 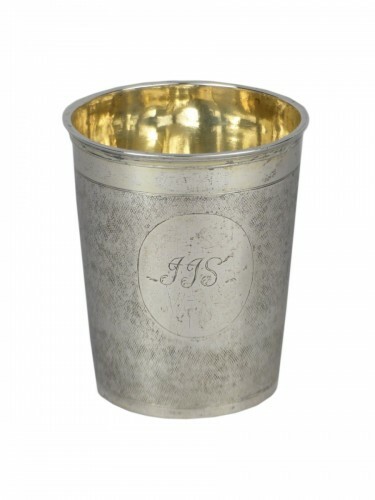 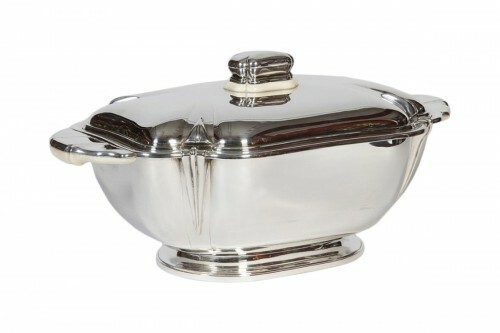 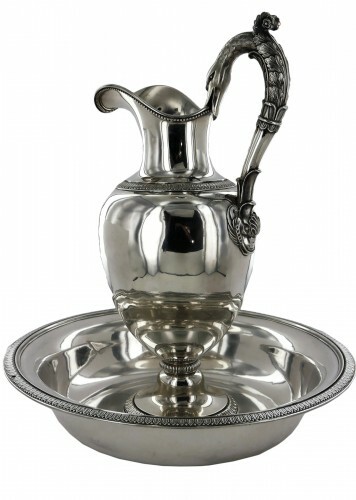 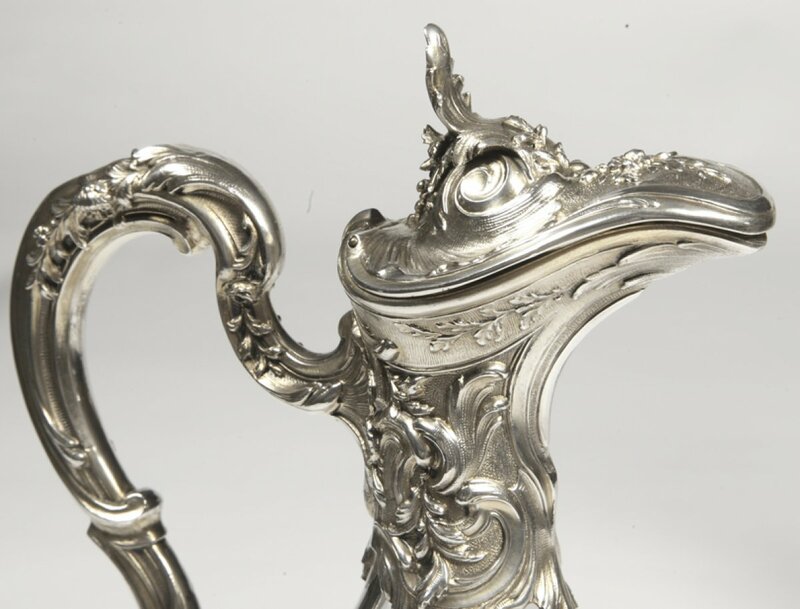 Handle and spout in silver.